Managing demand in health and social care. Pipe dream or the new reality? We are frequently told that demand for public services, particularly health and social care, is outstripping supply, making traditional models of supply unsustainable. Can this demand be better understood, and therefore managed? and a whole lot more besides......set aside the time and watch this programme, it’s a key debate. at our Blackfriars Studio, in front of a live audience. Delivered free of charge direct to a screen or monitor near you by CLGdotTV - The Local Government Channel. 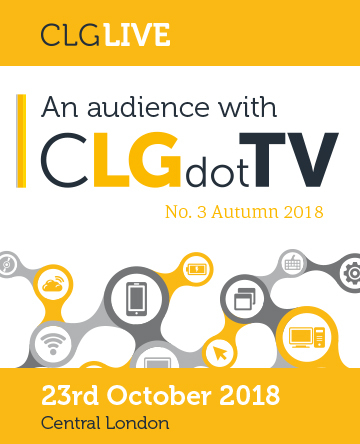 Follow us on twitter @CLGdotTV for more content, live and on-demand programme schedules, guest lists and other stuff. Six hours. Seven Programmes. Sixty panelists and guests.